Samsung flagship smartphones are some of the most expensive devices in the Android ecosystem. The company, however, tries to soften the blow by offering some freebies when you purchase its top-end models. Gear VR headsets, memory cards, wireless chargers, etc. are some of the common freebies you get when you opt for Galaxy flagship smartphones. Currently, the company is rerunning one such promotion in the US. 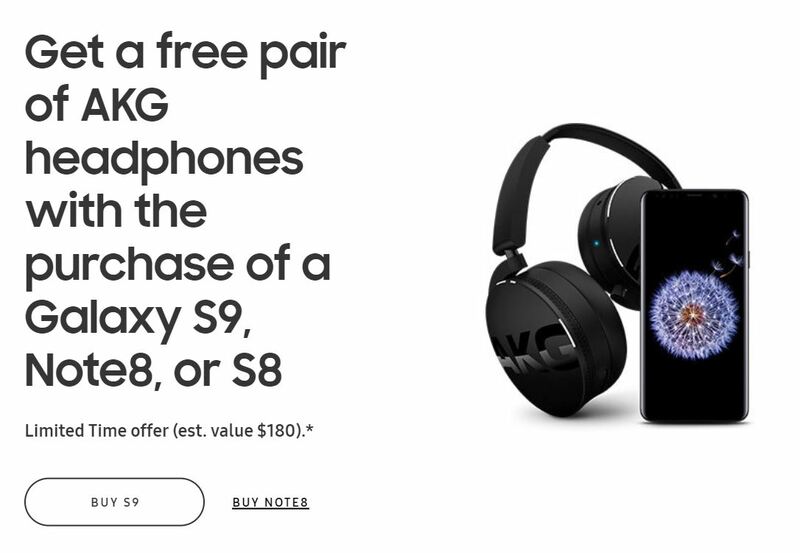 Customers who buy a Galaxy Note 8, Galaxy S9/S9+, Galaxy S8/S8+, or Galaxy S8 Active will receive wireless AKG headphones, which are normally priced at $180, for free. The offer is valid for both the unlocked and carrier variants but is applicable only on the purchases made on the Samsung US website or Shop Samsung app. Samsung came up with a similar promotion earlier this year, but that was before the launch of the Galaxy S9 series. The company has now brought back the same promotion along with including the Galaxy S9 and S9+ in the list of eligible devices. In case if you are not aware, the AKG brand belongs to Harman, a subsidiary of Samsung. Ever since Samsung acquired Harman, it has been using the AKG brand and expertise to market the audio capabilities of many of its devices. The offer is available until the end of this month. If you don’t want the free headphones, you can swap them for heavily discounted accessory bundles instead. You can find more details about the offer here.